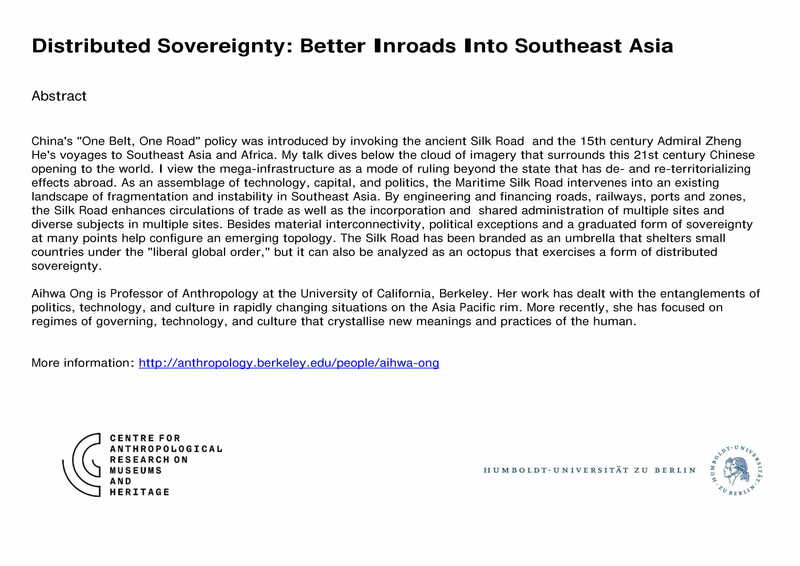 This colloquium addresses anthropological transformations and transformations of anthropology. What is the place of conjunctures and creations in anthropological practice? We seek to discuss these issues of transformation in relation to disciplinary attachments and detachments, challenges, and tensions. What are some of our shared concerns, or where are productive and challenging tensions? We invite reflections on these anthropologies and their transformations. And what can we learn from these transformations about what is ‘the anthropological’? What is so specific about the kind of perspectives that anthropologists produce on institutional transformations and change, theoretical creations and methodological conjectures? 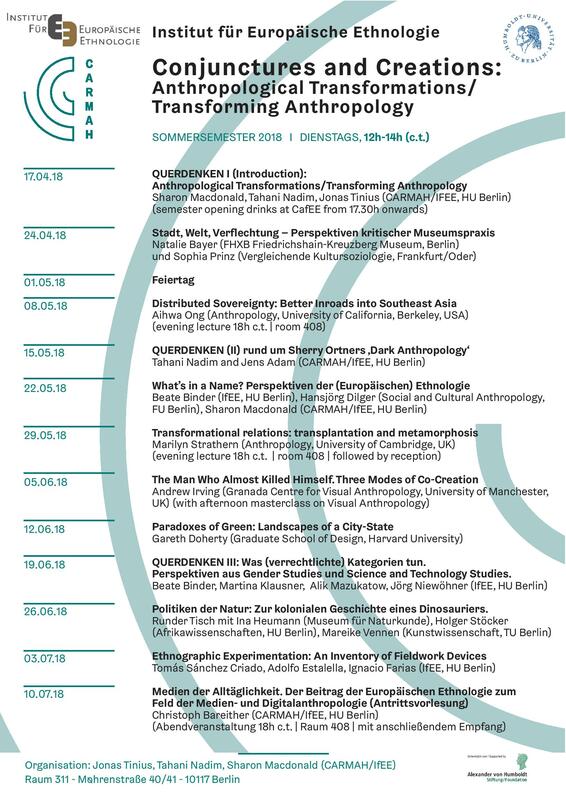 While we have some specific transformations in mind, such as the recent renaming of the Deutsche Gesellschaft für Völkerkunde to the Deutsche Gesellschaft für Sozial- und Kulturanthropologie (DGSKA) and the response this prompts (or doesn’t) for institutes of European Ethnology or Volkskunde, we also wish to think about experimentations with method, new theoretical advances, and how these have contributed to new conjunctures and creations in the discipline in Germany and beyond. Interested future attendees will find the detailed schedule on the right hand side of this page. Send your finished protocol either as pdf or word to Sharon Macdonald (sharon.macdonald@hu-berlin.de), Tahani Nadim (tahani.nadim@hu-berlin.de) or Jonas Tinius (jonas.tinius@hu-berlin.de) and we will provide some feedback in due course.